Kindle Sniper Review - Is It A Scam Or Make $1000's Each Day? Kindle Sniper Review – Is It A Scam Or Make $1000’s Each Day? So you think you can make money using Kindle Sniper aka KdlSniper? With this recently launched product, it claims that you can be well on your way to making over $1,000 a day as a published author without even writing a single word! This sounds great but is it a scam or can you really make money with this app? You’re at the right place to find out. 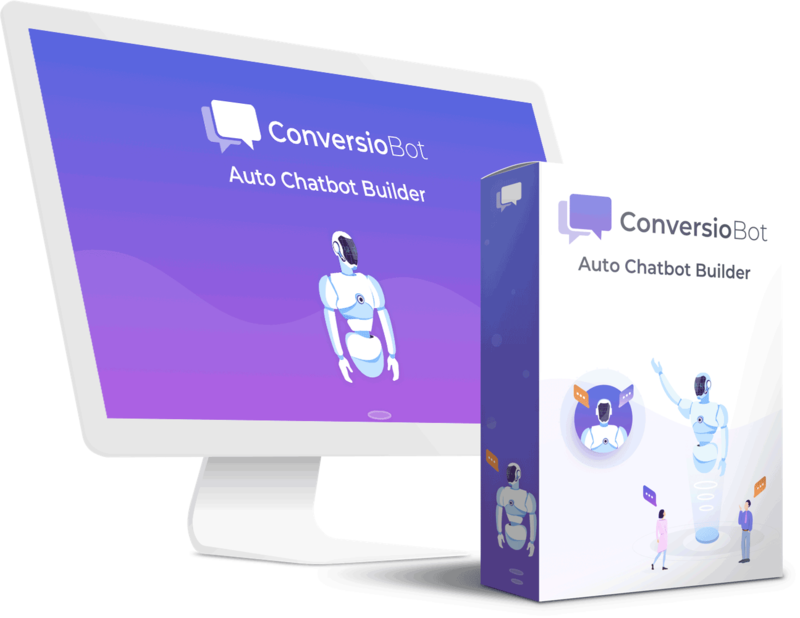 In my review, I will reveal all you need to know about this app so you will know whether it can make money or if it’s a complete waste of time. The Sales video claims that it is a bullet-proof system which can make you money with little effort by selling e-books on the Amazon Kindle platform. Prior to the system going on the market, it was rolled out to 20 sign-ups over a 3 month trial period who all gave their thumbs up and reported on how much money they made. We’re not talking about hundreds of dollars or even thousands … over 2 million dollars was made during that period. Martin Price has also reportedly made millions of dollars from this program. So is this a great money spinner? How Does Kindle Sniper Work? After watching the Sales video, with all the hype about earnings, testimonials and shiny objects, I had a feeling that this ‘system’ was similar to others which I have reviewed where they tell you what you want to hear but you aren’t actually getting value for your money. Again all smoke and mirrors – telling you what you want to hear but not delivering the results. So I wasn’t surprised in the least to find that you are not actually getting a system with Kindle Sniper. What you get is a PDF document which details the complete book writing and publishing phases such as how to set up your content, structure your book, promote your book, guarantee sales and so on. The only thing that the Sales video was “truthful” about was that you don’t need to write a single word; this is because you can use a ghost-writer to write your book for you. This is all well and good but the idea was for you to be earning money within days if you’re going to go by the testimonials. You will need time to find a ghost-writer who is willing to take on your project. They will want to meet with you, go through your ideas of your book and agree on the way forward. Now I am in the process of writing my own book. I have a coach and it costs me $100 per hour! That’s just for a coach. You are going to need someone to write your book so can you imagine how much you will need to fork out? I had 2 meetings with my coach and that was to get my ideas on paper and adding some structure to it. Yes. Just 2 meetings for those items. Your ghost-writer hasn’t got a clue what you want to write so you will be having more than a couple of meetings with them. The costs will add up quite quickly especially if it’s a lengthy book. Ghost-writers do not come cheap as they are excellent experts in this niche market. Is Kindle Sniper A Scam? Based on my research, I would say it isn’t; as you do get something for your money and if you’re not happy with it, you can ask for a refund. What I would say, is that it is very misleading. If you have watched Sales video you would expect something more advanced for your $37 (or $27) than just a PDF instruction manual! There is so much hype about the sums of money people have made with this product which is just to lure you into buying it. You can make money selling ebooks but not the sums they are saying within the short spell of time. Many people are turning to book writing as a means to supplement their income; some aren’t in it to make money they just love the idea of being able to put pen to paper and to be able to share their thoughts with others. I too am on that journey of writing a book. It’s great however everyone new to this need direction. Buying software, hiring someone with the hope of making $1000 per day is a long shot in the dark. I wouldn’t recommend you going the ghost-writer way as it is costly, especially if you are starting out and you are not an author. You won’t know what you are looking for in getting a best seller out there in order to make the kind of money Kindle Sniper says you can. The best way to learn is to follow someone who is already a leader and has success with writing and publishing books. If you really want to write and publish a book and make money from it, I recommend attending a course which you can do online. Save your $37 and invest in something that has value. If you’re interested, click on the image below for more details. This is the course I attended and the speaker is a #1 Amazon Bestseller (several times over). Kindle Sniper makes it sound so easy but it will end up costing you your time and more money. Making money online isn’t as easy as how they make it out to be. Having reviewed lots of products in the past, the theme is the same for those products that underdeliver. The Sales video tells you how easy it is to make money with their product, all it takes is a few clicks, you can make money within minutes of starting the program. People who have been in the online business will tell you that they had sleepless nights, early mornings, no time-off until the business started to make money. It takes a lot of hard work and you need to be patient and committed as it may take months or even years before you see your first dollar. Can You Make Money With Kindle Sniper? Using the method they suggest, yes. However, you don’t need to buy Kindle Sniper as you can find information on the internet on how to publish ebooks and how to find and source ghostwriters if this is the direction you want to take. You can do all this research for free. But do you really want to go the ebook route? Check out this article on there being a slump in people buying ebooks in favor for the traditional print paperback and hard copy books. Personally, I prefer to hold a printed book than to read a Kindle version. ebooks are great for things like ‘How to’ subjects where there are pictures and diagrams. They are usually short in length so the reader isn’t spending huge amounts of time looking at a screen. People are now cautious of spending a lot of time staring at computer screens as it can affect their eyes. If you really want to make money online, there are other ways to do so. Check out how I make money by clicking the image below. Selling ebooks is a legitimate method of making money online. A lot of hype – shiny objects to lure you into buying the product. The ‘owner’ is hiding under a different name. Can be costly to hire a ghost-writer. Misleading – sounds like you’re getting a system when all you get is a PDF document. Conclusion – A Better Way To Make Money Online! I do not recommend Kindle Sniper for the reasons above. You can make money selling and publishing ebooks but it takes a lot of work and you need to ‘find’ that winner in order to make $1,000 day. Not every book is a best seller so you need to know what it is people want and target that area. There are much better ways of making money online. Have you heard of Affiliate Marketing? This is where you promote other people products and when a sale is made using a special link that is your own unique id, you get paid a commission. It is a great business model which many people are using to make a full-time income. You can promote anything you like so the commission varies depending on the value of the item and the commission percentage. However, most people promote things they are passionate about be it health and fitness, dating, video games … the list is endless. The great thing about this is that anyone can do this. But you need to learn. I learned all I know from a program which I will recommend to you. You will learn everything you need to know on how to start an online business. Once you learn how to do this, you can take your business further and branch out into other areas such as consultancy, create courses. The opportunities are endless. However, you need to learn. They offer 10 FREE lessons which you can check out by clicking the button below. This isn’t a get-rich-quick scheme. It’s going to take hard work, commitment and dedication. So if you’re ready to take action and become successful online, click on the button above. You will be joining a large community of entrepreneurs who are successful at making money online through the training. So if you don’t want to be left out, click the button above to start your free training. No credit card details required! I hope my review of the Kindle Sniper answered all your questions. If you have any comments or questions, please feel free to leave them below and I will get back to you. Fast Earners Club Review – Is It A Scam Or Earn Money Fast? My Freelance Paycheck Review: Easy Cash Or A Scam? Boomerang Buddy Review – A Scam Or Make $142 Per Day? Copy My Email System Review – A Scam Or Make $$$ Weekly?